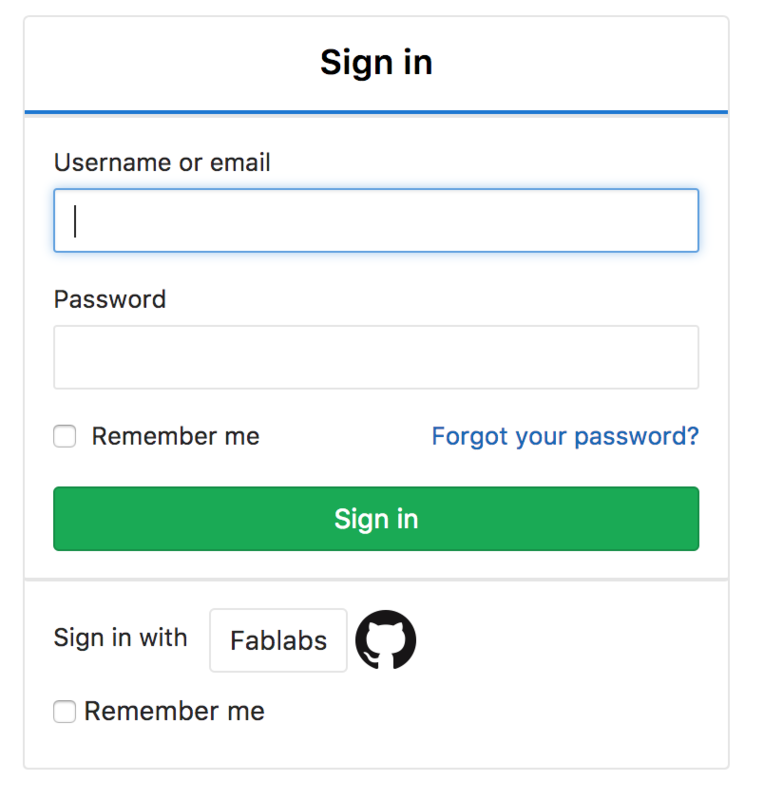 To join, first create credentials here: https://www.fablabs.io/ Then go to https://gitlab.fabcloud.org/ and login with the fablabs.io button. /2017 the main class pages. if you are the head of a lab, go to the /labs_2017 repository, and open an issue to ask if you can join the group. You will also have to clone (see below) one of the template repositories so your students can document. There is a gitbook template, and an HTML template. Ask for help (open an issue!) if you need it. If you are faculty go to the /faculty_2017 group and ask to join by opening an issue. You will also be added to /2017, the main class pages, so you can edit your class page. If you are a student go to the /students_2017 group and ask to join by opening an issue. All the templates and faculty pages are set up to automatically become a live webpage on our webserver. This means if you create a repository for your students to document without cloning one of the templates, this needs to be set up (open an issue if you want help with that). Then, use as projects name "yourlabname_2017" - and click &apos;repo by URL&apos; in which you paste the HTTPS link you just copied before. Click &apos;create project&apos; and gitlab will copy the template into a new repository containing all the files. It will be set up automatically to build into a live website, that you can find by going to bio.fabcloud.io/yourlabname_2017 (where you obviously need to replace the "yourlabname_2017&apos; with the name you used). Lastly - we will not use email to communicate anymore, but also do this in the gitlab. If you want to contact everyone in the Bio Academy group (so labs, faculty, current students, alumni) open an issue on the top level. (careful with this). Questions? If you are signed up to the gitlab open an issue (i&apos;ll get notified) if you somehow cannot sign up, email us directly.